Luxurious seafront villa on the beach! Perfect location with 5-stars life around you. Your own private villa just a few steps from the sandy beach with the crystal clear blue ocean in front of you. Imagine to wake up in the morning and step out on the beach to have your morning swim and then return to your private villa, Villa Joloosa, for a fresh breakfast on the terrace. 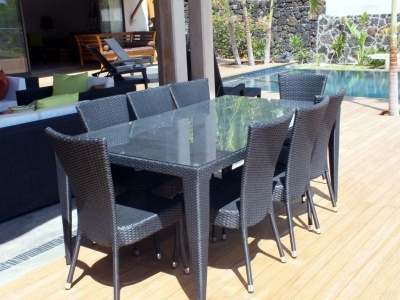 Villa Joloosa is one of the most modern and luxurious villa you can rent on this fantastic island. 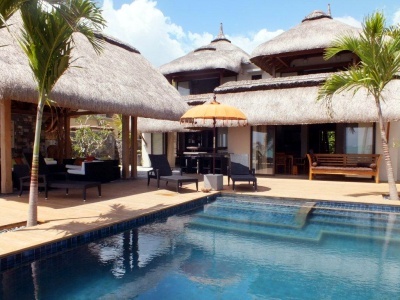 Situated on one of the most beautiful beaches on the east coast of Mauritius. 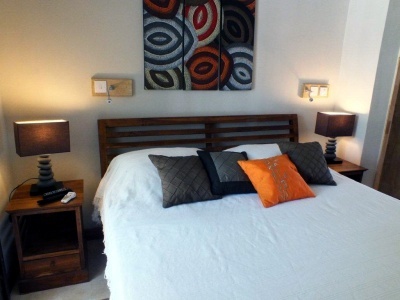 Built in 2011 offering high standard, big open social areas, great comfort and a very nice interior decoration. Enjoy your own private pool and and total tranquility away from the busiest tourist parts of the island. 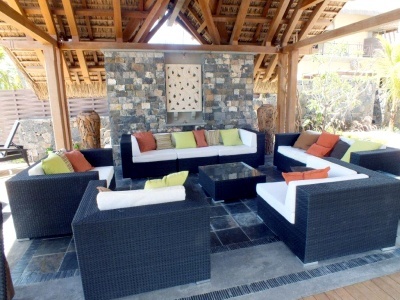 Relax and enjoy the ultimate feeling of having your own paradise villa, but without the stress of cleaning and cooking. In Villa Joloosa you have your own daily maid and she can also cook for you (local excellent dishes). If you want more gastronomic experiences you have three 5 star hotels on the same beach; Le St Geran, Le belle mare plage and Le beau Rivage. Here you can also enjoy some of the best SPAs on the island. All together, the ultimate living for a perfect holiday in paradise! 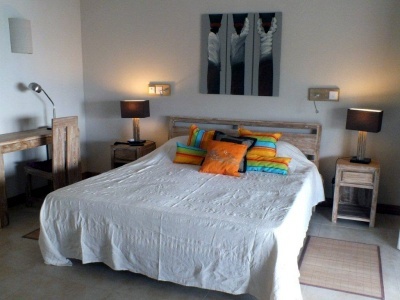 The villa offers 3 bedrooms with double beds and 2 bathrooms. (6 persons can live in the villa and if you are a bigger group you can also rent another 8-beds villa “Seafront heaven” situated next to this villa.) Big nice open living areas with direct access to the terrace and pool area. 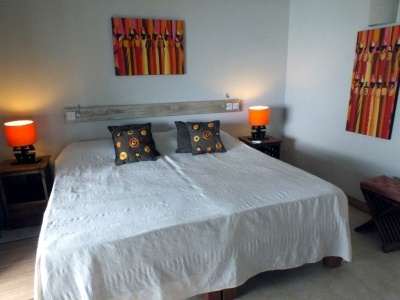 Full equipped kitchen, aircond in bedrooms, flat screen TV, DVD, CD player with outdoor speakers. Nice garden and pool next to the beach. Maid service (4 hours daily) is included in the price and you can also have your maid cook for you. Linnen and towels are also included in the price. The villa is situated on one of the most beautiful beaches on the island. You have 3 exclusive fivestar hotels on the same beach where you can enjoy their bars, restaurants and SPAs. If you like golf, you have several nice golf courses just 5-20 minutes by car. 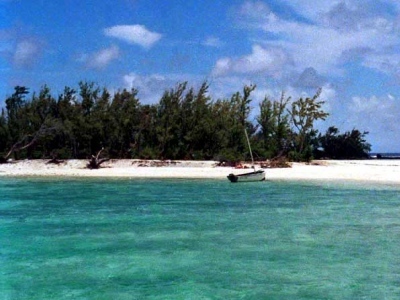 This side of Mauritius offers wonderful lagoons and several public beaches easy to reach. You are surrounded by fantastic nature and you can walk and bike in the national park nearby. 45 min drive to more touristic areas like Grand Baie and the main town Port Louis. Distance to airport is 40 min drive and if you don’t want to rent a car, we can arrange a pickup from and to the airport. 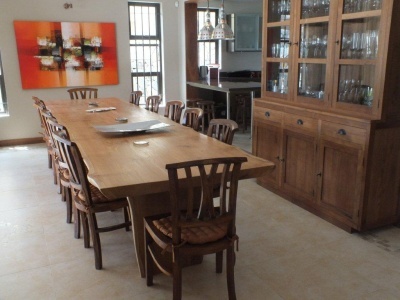 Welcome to contact us on info@bonsdorffvillas.com for availability and for detailed booking conditions.